In order to lose body fat, look better, and feel energized, follow these three keys to jumpstart your journey to fitness today. Before you begin you must be aware of a few important facts. Getting fit is a slow and steady process, being fit is not a destination, it is a way of life. Adhering to regularly scheduled workouts will take commitment, determination, and discipline; doing what needs to be done, when it needs to be done, when you don’t want to do it. You’ve probably said to yourself, “I’ll never look like the girl in the magazine.” I’ve got news for you; the girl in the magazine doesn’t look like the girl in the magazine! You’ve always been beautiful, decide now to be healthier, fitter, and stronger; define success on your own terms. The key to successfully incorporating exercise into your already busy and demanding schedule and have it become a routine is to create a program around activities that you enjoy at a time of day that works for you. Whether you are exercising to improve overall health or because you want to lose weight, research supports working out 1 hour a day, 5 days per week. The studies further revealed that those who exercised at least 5 hours a week were happiest with their bodies; while those that exercised less didn’t get the results they were looking for. Because it can be hard to devote a whole hour to a fitness routine it's fine to break it up throughout the day. Consider brief sessions of activity; for instance, if you can't fit in one 30-minute walk, try two 15 minute walks instead. Then add a strength building or flexibility training activity somewhere else in your day. Stepping out of your comfort zone to begin an exercise program can be scary, believe me when I tell you, I get it. Even though I have been in and out of many gyms, yoga studios, and hotel health clubs over the years, and while I’ve taught thousands of hours of group classes I still experience a bit of anxiety with the unknown. Face your fears, the beginning is always the hardest part. You may have to dig deep, come to terms with the uncertainty, and direct all of your spirit and energy toward a bigger, brighter future. Cardio, short for cardiovascular exercise, is a dreaded word for some, a passion for others. However you look at it, cardio is an essential part of every exercise program and should never be left out of your fitness plan. Cardiovascular exercise is an aerobic activity, something which requires oxygen and enhances circulatory and respiratory efficiency. Cardiovascular exercise involves the movement of large muscle groups and requires a certain amount of endurance over a period of time, therefore increasing heart rate and blood circulation throughout the body. 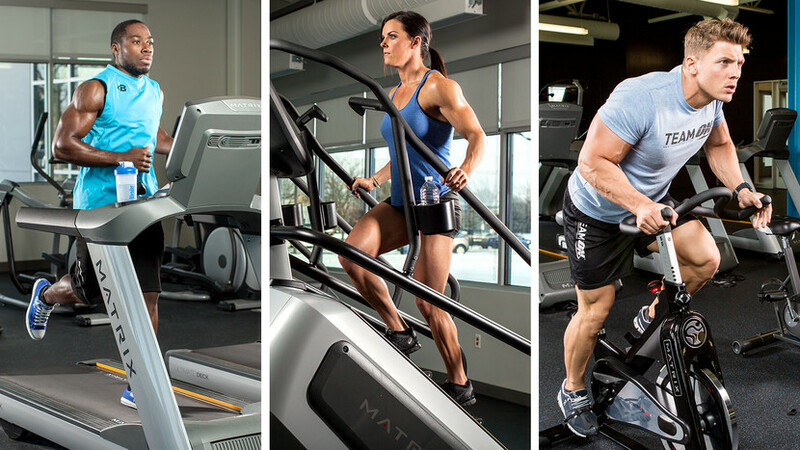 Examples include walking, jogging, and swimming; as well as the use of stationary machines like treadmills, ellipticals, and stair climbers. 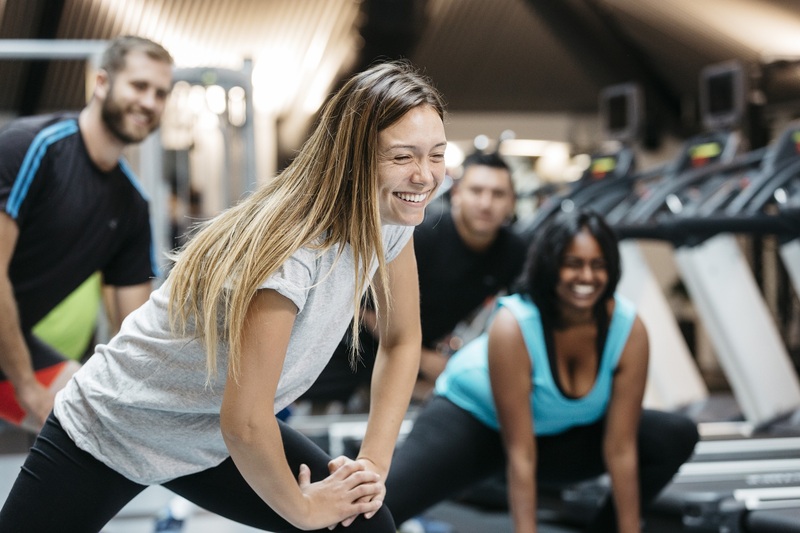 Group exercise classes such as spinning, dancing, and kickboxing are also great options for incorporating cardio into your workout. What type of cardiovascular exercises interest you? The Department of Health and Human Services recommends at least 150 minutes a week of moderate aerobic activity for healthy adults. Evenly spread throughout the week, cardio sessions should be at least 10 minutes long and can be divided throughout the day, such as three 10-minute walks. The key to receiving the benefits of aerobic activity is making it a part of your lifestyle. 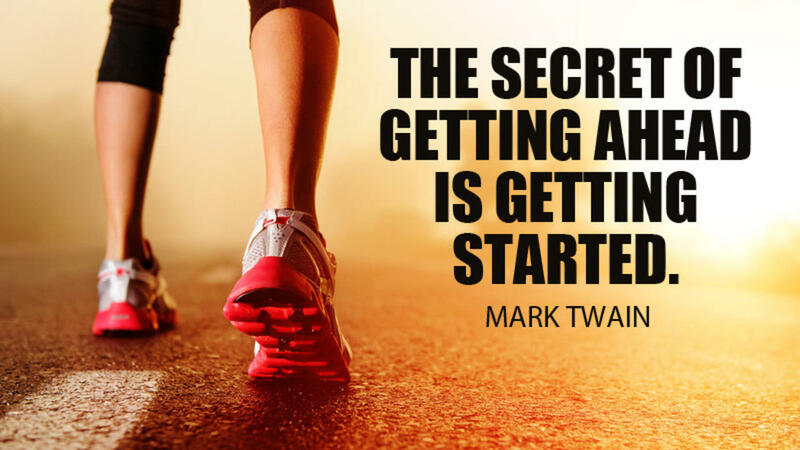 Always start out at slowly; gradually building your strength and endurance. Be realistic and don’t push yourself too hard, too fast. A comfortable balance between challenge and ease is important when selecting the energy level and type of exercise; always choose a suitable workout for you. Going overboard and running yourself into the ground serves no purpose and your chances for soreness, injury, and burnout increase. If you find you must do an excessive amount of cardio throughout the week to burn off calories the answer is to direct your attention to your diet. While you can spend all day on the treadmill you will never outrun bad nutritional choices. When can you schedule cardio into your day? Who doesn’t want to look good, feel better, and live a longer, stronger and healthier life? Weight training, also commonly referred to as resistance or strength training, utilizes weights and the force of gravity for resistance to stress the skeletal muscles. Similar to the way aerobic conditioning strengthens your heart, weight training builds muscle strength and size, and contributes many functional benefits to the physique. 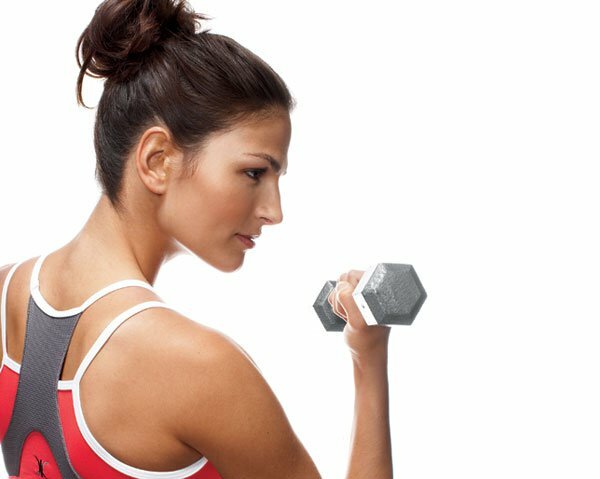 Participating in a weight training program will improve your body composition by decreasing fat mass and increasing lean body mass. It will boost your metabolism because your body needs to work harder to maintain muscle over fat, therefore burning more calories throughout the day. As you age, you naturally lose bone mass. Just as your muscles will build and grow from the stress of weightlifting, so will your bones. When your bones perceive stress, your bodies response is to build more bone, therefore increasing bone density and lowering the risk of osteoporosis. Don't limit yourself to thinking that a gym membership is the only way to do strength training; it can easily and affordably be done in the privacy and convenience of your home. Your local library offers many choices in the form of instructional DVD’s and books to view. There are a wide variety of health and fitness magazines, Smartphone app’s, and television programming choices to keep your routine interesting and challenging. Equipment isn’t necessary to target and build muscle; many exercises can be performed using your own bodyweight. Reasonably priced and readily available resistance bands, exercise balls, and free weights can be used to enhance your weight training program. Where are you most likely to weight train? Why? Two to three sessions a week lasting just 20 to 30 minutes are sufficient for most people and results can be quickly accomplished. Where can you fit weight training into your busy schedule? As a master yoga instructor I have led a multitude of students through thousands of hours of yoga classes. So it is with certainty I can say that flexibility and balance are two of the most overlooked and under practiced components to a well-rounded fitness regimen. Many people will work hard running on a treadmill or lifting weights but be tempted to skip exercises that promote mobility and stability in favor of those that they feel offer a bigger bang for their buck. 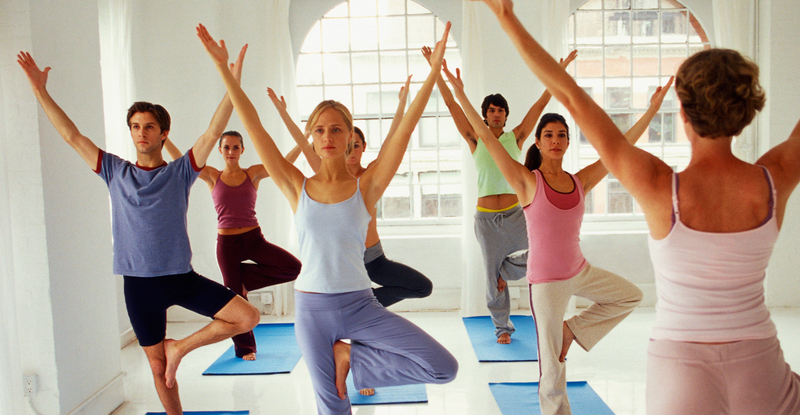 A regular yoga practice offers many vital physical and mental health benefits. Some physical gains, like increased energy and circulation, better posture and muscle control, and improved balance and coordination are noticeably evident. Other mental health benefits, such as a reduction in stress levels, anxiety, and irritability; improved focus, creativity, and mood; elevated self-esteem, self-confidence, and self-control, may be subtle but they are just as effective. If you don’t have the time or money to go to a studio or a gym to take a yoga class it can easily be done in the comfort and privacy of your home. Try some different yoga styles by viewing DVD’s you can check out from your local library, watch one of the many shows on TV, or search online for free videos to follow along with. Where are you most comfortable practicing yoga? Why? Make an effort to incorporate a yoga practice into your exercise program two or three times a week, for at least 30 minutes to an hour. Don’t let your lack of time or unrealistic goals become an obstacle. If all you can devote is 20 minutes, that’s fine too. Do what you can and don’t worry about it, just start somewhere. 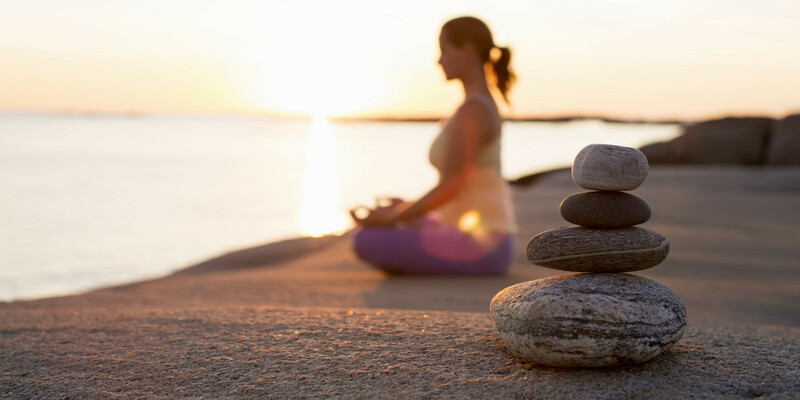 Where in your schedule can you devote time to yoga? A regular yoga practice will be the foundation needed to boost your energy and guide you to more healthful daily habits. Your present situation is not your final destination; you are a work in progress! The American Psychological Association reports that 77% of people in the US regularly experience symptoms caused by stress. High and constant stress levels can negatively affect a person’s physical and mental health and not everyone is coping well. Job stress is estimated to cost US industry more than $300 billion a year in absenteeism, turnover, diminished productivity, and medical, legal and insurance costs. Over 60% of people surveyed say it is extremely important to manage stress, eat a healthy diet, and be physically active, yet they have a hard time accomplishing these goals. People generally think of exercise in terms of physical health but do not consider its effect on mental health. Much research has been done in the last decade that reveals exercise to be a powerful tool in the optimization of brain function. These studies continually show that your body and your brain are connected. The more you work at getting your body in shape the more adaptable and responsive your brain becomes both cognitively and psychologically. With physical activity, senses become heightened having a positive impact on your levels of energy and passion, interest and motivation, mood and self-esteem. The simple act of being in motion has been shown to promote the belief that you can reach your goals and bring them to successful completion. It is important to consult your primary care physician when starting any type of exercise program. Take time to discuss the different modalities including cardiovascular exercise, weight training, and flexibility/balance. 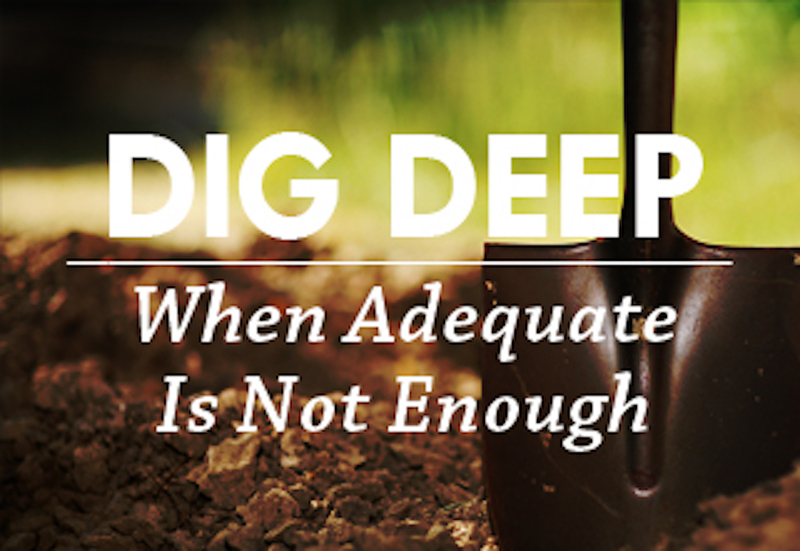 While the Department of Health and Human Services can offer you foundational guidelines, they don’t know you. It is imperative that you and your doctor determine a sensible and safe starting point for you.